Suzanne Karlson Oct 09 2018 11:35 pm Mr. Kim Kap-Soo, You were fabulous in the role of Hwang Eun-San! I’m sure you enjoyed working with all those wonderful young people, too! Mr. Sunshine should win many awards! Congratulations to all of you! Jonathan Pbb Nov 13 2016 4:51 am Love his acting in Blood, My Lawyer Mr. Jo, as well as The K2. Loreaine Jan 30 2016 8:46 pm Excellence award - Well Deserved...Excellent actor Kim Kap Soo in every role he's acted in, Bravo! Leea Nov 03 2015 8:22 am You reminds me about my father in all about my mom drama. Stay healthy and fighting! Sia Wodniok Jun 29 2014 4:38 am An amazing actor.Love the way he portrays the character of the "evil" pirate. Ida May 24 2014 8:22 pm Are his eyes gray, hazel or pale blue? They do not look Brown. Is he more than just Korean? hanhan Dec 20 2013 2:45 pm KIM!!KAB!!SOO!!!!!!!!!!! 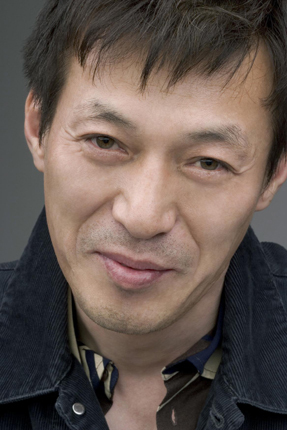 CICI Nov 26 2013 5:25 pm I've seen Kim Kap Soo in so many Kdramas now and he is one of the finest actors on the planet. What a force. I hope to see him in many, many more dramas. I love this man!! Mary Aug 01 2013 2:25 pm I don't mean to offend anyone but I think he looks like the older version of Infinite's Myungsoo. Dede Jun 13 2013 5:32 pm He is good at his craft. I had to research his résumé since he is in Birth Secret as this limited person. Then I am watch You are the Best Lee Soon Shin and Bingo there is this man who looked familiar in a totally different character. So good. mercy Aug 11 2011 12:04 am Hi. Your role as a loving father in Cinderellas sister was very remarkable. I cried when you knew that your wife was seeing another man but you pretended not. The character of a good man was justified in your acting.